The early-80s hustlers he initially served took their style cues from jazz and pop world figures like Frank Sinatra and Sammy Davis Jr, ramping up the Rat Pack flamboyance with greater volume and louder colour. In 1985, when LL Cool J turned up at the store, Dan’s reputation reached the rap game. 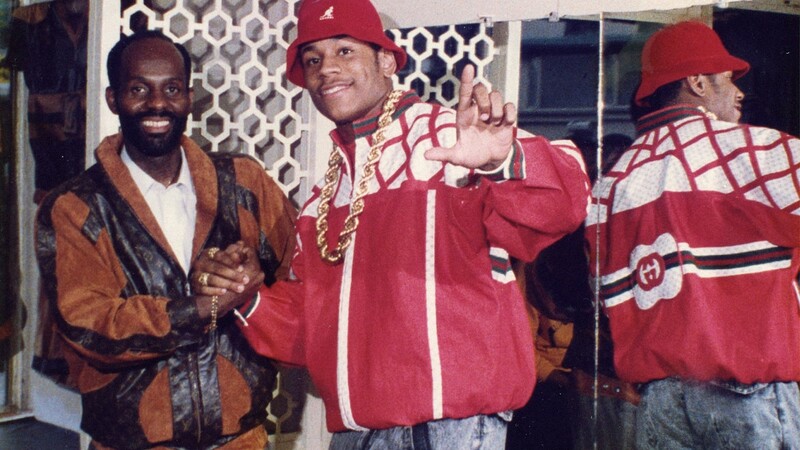 “He was just coming out,” Day says, “and one of the gangster guys brought him in.” Soon the outfitter was creating iconic hip hop looks for the likes of Salt-N-Pepa, Bobby Brown and Eric B & Rakim. 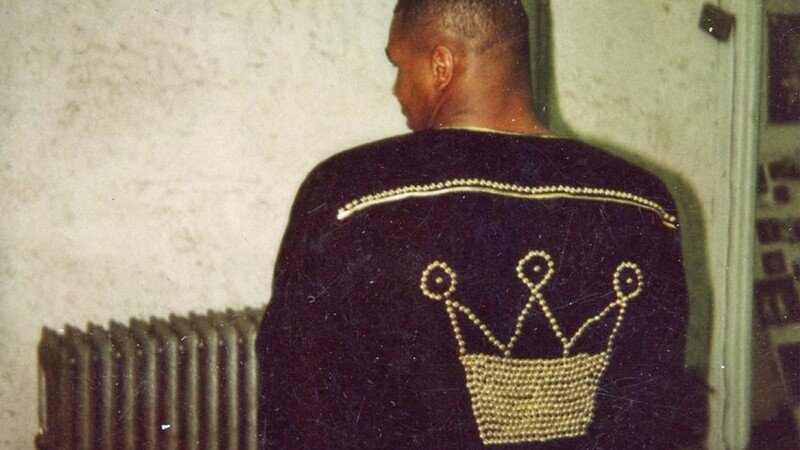 Bypassing a US fashion system that wasn’t hugely encouraging of black talent at the time, Dapper Dan made a name for himself through his individualism and spirit of independence. It’s hard to imagine the local teens and 20-somethings of today abandoning their Jordans, camo pants and busy jeans for old-school Harlem suits and shoes, but Day has lived in this neighbourhood long enough to know its cycles. Gentrification might also prove a threat to Harlem style, as the area’s “re-renaissance” pushes trueborn Harlemites out of certain areas. For now though, a stroll anywhere north of 110th Street suggests that the distinctive local culture continues to remain mercifully dominant and visible in the area. A tailor friend helped Day bring his visions to life. “I wanted to make him a partner, but he wasn’t interested in the direction I was taking. He thought he could be the next major designer by doing it differently, so we parted ways six to eight months after that. He saw the possibilities of being a fashion designer by going through the same process as other designers, but he was African-American. It wasn’t going to happen,” Day says. And he was proven right: his friend never did become the creative director of a fashion house. After his friend’s departure, Day recruited African tailors to make the attention-grabbing outfits he’d started to conceive. Fur coats were too seasonal, so he made the move into leather, suede and lighter goods. He quickly learned how to print on them, creating entire extravagant outfits of fake Louis Vuitton and Gucci logos for the first time. Before then he’d only created trims by using the material from wallets and bags he had purchased at the real stores. Local racketeers, who were earning a fortune off the back of the crack cocaine explosion at the time, started exhibiting their dash and cash through his looks. Day got off scotfree from troublesome copyright issues until a 5am store visit from Mike Tyson in 1988 ended up with the boxer brawling with Mitch Green, an old heavyweight boxing rival. Press photos of Tyson wearing a non-collection Fendi jacket aroused the suspicions of copyright lawyers. (When Tyson brought in thengirlfriend Naomi Campbell, Day remembers “Naomi leaning over the cutting table and Mike Tyson asking her, ‘What do you like?’ and even back then, she said, ‘Well, I like Chanel.’”) Before long the boutique was being regularly raided by US marshals, who took equipment and supplies. Soon most of the labels whose logos he was ripping off began taking legal action, and he was forced to shut up shop in 1992. He may have been illegally incorporating other brands into his designs, but Day remains cheekily indignant about his treatment. “I didn’t do knock-offs,” he teases. “I did knock-ups!” As he sees it, he was filling a gap, because big luxury brands weren’t working this form of fly-guy logomania on their own clothes. Indeed, Louis Vuitton wasn’t making ready-to-wear at all at the time. He thinks these labels are now lifting some of his ideas. After the closure of the boutique, Day sustained himself through work for private clients across the States. “Floyd has a good sense of what he wants,” according to hip hop’s master tailor. “He will put what he wants out there, then he’ll ask me what I think, then we work around that. Almost all his outfits are his concepts – I just bring them to fruition. Floyd’s stuff is that traditional, high-end, real street culture. 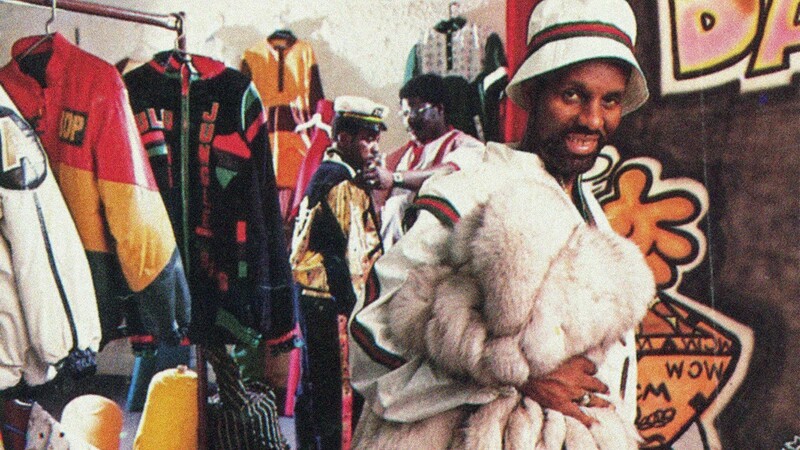 What he wears epitomises what I’m about.” Now you know who’s making Mayweather’s garms, you’ll notice those exotic skins, bold colourways and many-buttoned waistcoats – all signs of that old Harlem hustler style. When asked for his proudest design moments, Day says they haven’t come through his clothes. “My MercedesBenz, which I did in Gucci, and my Jeep, which I did in MCM.” When pressed, he admits his most cherished piece ever is a Blackglama mink coat. Although he could potentially be in his late 60s (he won’t confirm his age exactly), he’s trim enough to pull off what he would have worn in his 20s, and doesn’t believe in dressing your age – although he does admit to asking his son and grandson for occasional advice. “I always dress for the occasion. It all depends on the meeting I’m having and the impression I want to make. I dress according to the environment I’m gonna be in. I’m noisy right now!” Today, he’s dressed in red waistcoat, trousers and tie, especially for Dazed. Harlem dances to its own tune, even when it comes to the very American ‘wear no white after Labor Day’ rule. “There’s a whole winter white thing here; that kind of rule doesn’t hold up.” Just as Day strove for independence by creating his own looks and running his own business, Harlem style exists in its own state of independence.Yes,it’s open to influence – Day likes to “Africanise” European looks, make trends “palatable for the street” and is famous for reworking French and Italian fashion house logos – but ultimately, spot a Harlem gent and you know his look couldn’t be dreamed up anywhere else.